Not many groups or artists can make the claim of having their first nine singles reach The American top 15 with five reaching the top four. 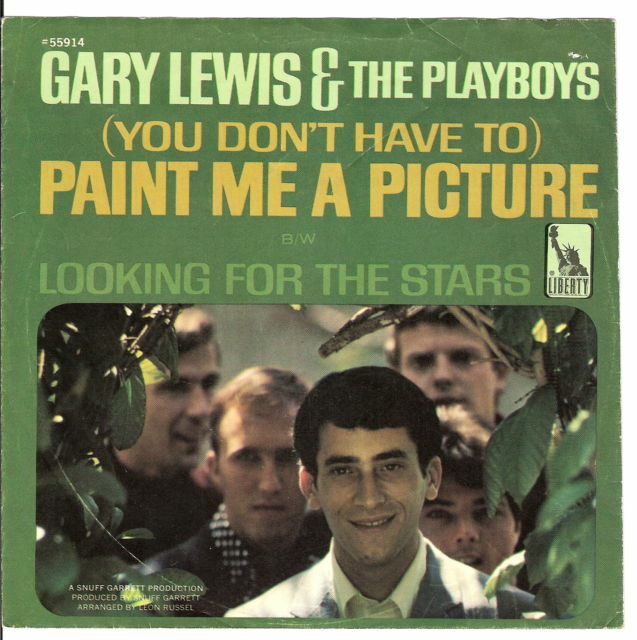 “(You Don’t Have To) Paint Me A Picture” was the last of the nine as it reached number 15 on the BILLBOARD MAGAZINE Pop Singles Chart during late 1966. All of Gary Lewis’ releases were simple pop that were perfect AM radio fare. While his career would take a commercial down turn during the late 1960s due to the chaging landscape of American music, for three years they were one of the better, if simple, pop groups working. Like Gary Lewis and The Playboys? Like cereal? Well back in the day you could have both. Eat some cereal, send in the box tops, and you received a brand new copy of “Doing The Flake” by Gary Lewis and The Playboys. The flip side was two songs, “This Diamond Ring” and “Little Miss Go-Go.” The first was their biggest hit and the second was probably their best song that never became a hit. “Doin’ The Flake” was never available in stores but only through the mail. It remains Gary Lewis’ most collectable record. 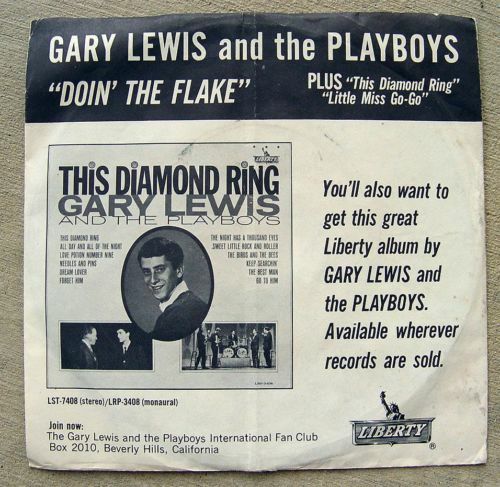 Gary Lewis and The Playboys were a commercial force on the singles charts during the mid to late 1960s. They charted 15 hits with their first nine reaching the top 20 and the first five of those making the top five. They continued to release catchy pop tunes as the decade ended, and while they would have some pop success, the music of the era had begun to pass them by. 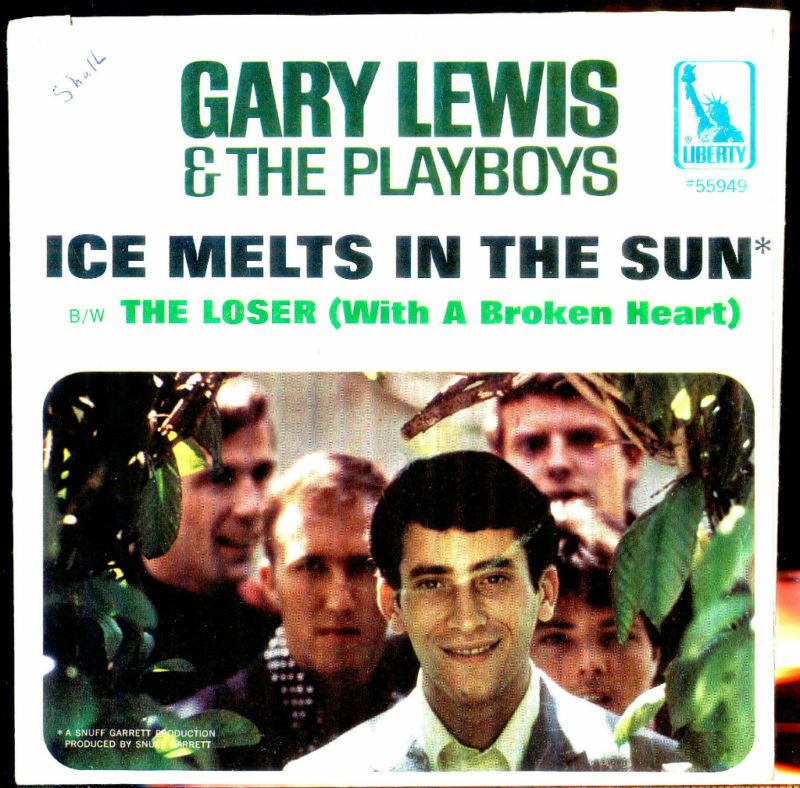 “The Loser (With A Broken Heart)/Ice Melts In The Sun” was released March 11, 1967 and it reached number 43. It was the last of their singles to be arranged by Leon Russell. “Ice Melts In The Sun” was the B side of the single but I always perferred it over “The Loser.” It was a gentle mid-tempo pop tune that fit their style well. There may have been some doubts when the record was released as both sides of the picture sleeve featured a different side as the lead song. Today both songs remain forgotten when compared to their big hits. 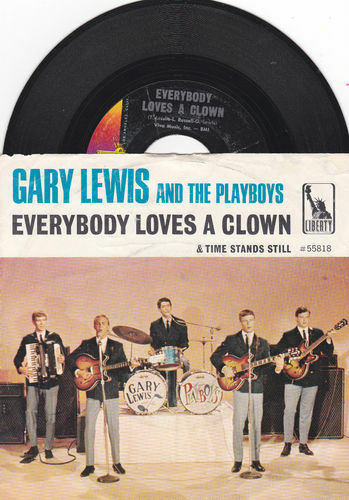 “Everybody Loves A Clown” was the fourth single release by Gary Lewis & The Playboys. Released September 9, 1965, it reached number four on the BILLBOARD MAGAZINE Pop Singles Chart. Four may seem like a big hit but their first three singles went one, two, and two on the charts. “Everybody Loves A Clown” was the type of lightweight, catchy pop that would symbolize all of their best material. While it may not have been essential to the development of American rock ‘n’ roll, it was a pleasant way to spend a couple of minutes back in the mid-1960s. 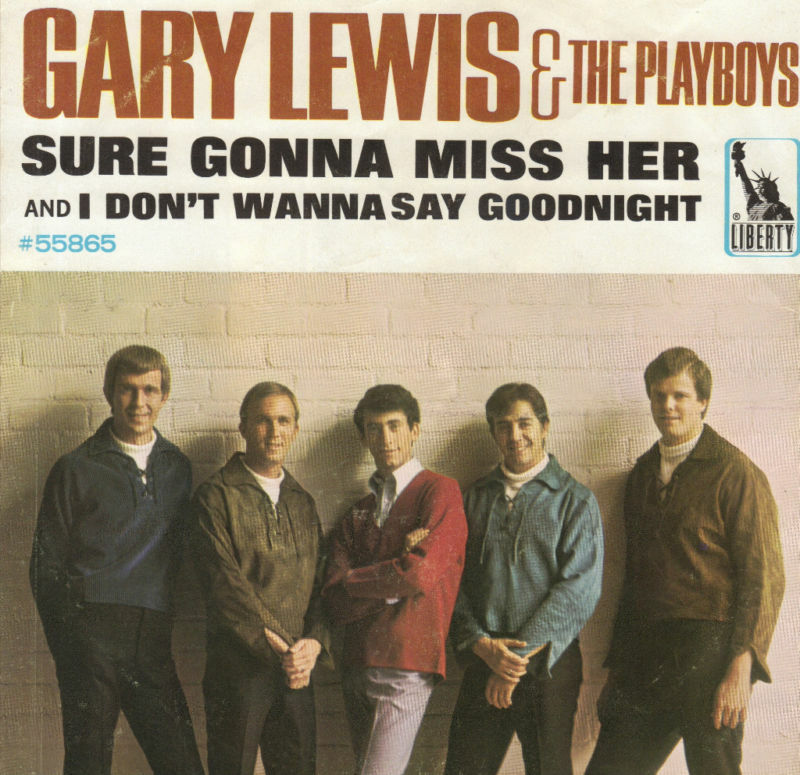 Gary Lewis and The Playboys had their first nine singles reach the top 15 on the BILLBOARD MAGAZINE Pop Singles Chart, with five reachng the top five. “Sure Gonna Miss Her” was the sixth of the nine. It was released March 5, 1966 and reached number nine on the the BILLBOARD Charts. By this time they had their formular down pat. They released mid-tempo pop songs with lyrics that personified the inocent side of the sixties. “Sure Gonna Miss Her” fit right in and while it may not be one of their best releases, it still is a good listen 45 years later. 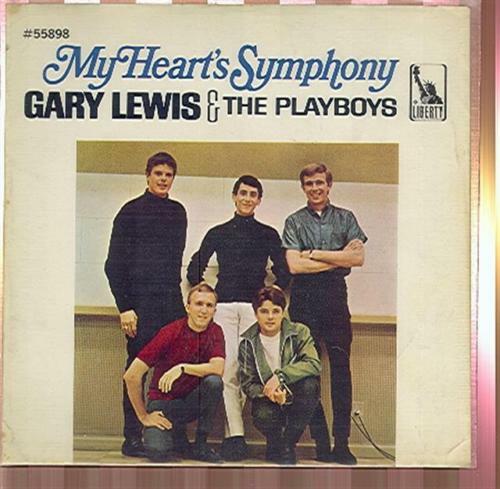 “My Heart’s Symphony” may just be my favorite song by Gary Lewis and The Playboys. It was a slick piece of up-tempo pop, It did not pretend to be essential to the era, but was just a fun listen. It was their eightth single release and the first not to enter the American top ten. It stalled at number 13 during its seven weeks on the charts. It came with a picture sleeve that featured a very young Gary Lewis. 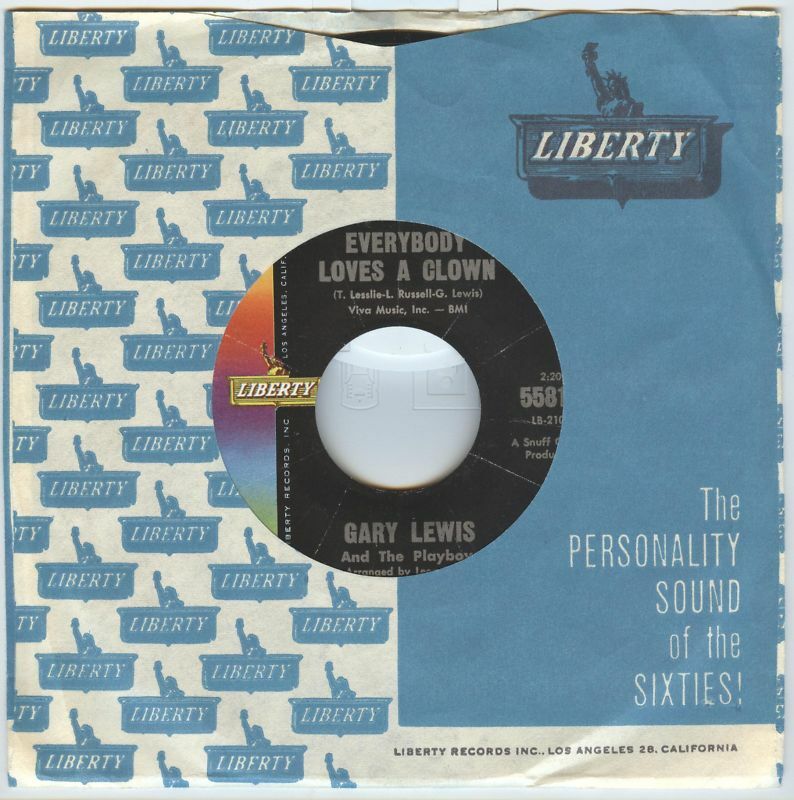 While the career of Gary Lewis would only produce hits between 1965-1969, he did issue a number of catchy releases that still make a person smile today. You are currently browsing the archives for the Gary Lewis and The Playboys Reviews category.